Some research shows that walnuts are a cook's favorite ingredient. Walnuts are moderately crunchy. Their unique, ruffle-like shape makes them an attractive garnish, but it's most likely their flavor that makes them so popular with cooks. Walnuts have an earthy, fruity, and slightly tangy flavor. They also have a hint of sharpness which helps balance the sweetness of many desserts. It’s a smart shopping tactic to purchase raw walnuts in bulk. By doing this, you’ll always have a supply of raw walnuts on hand to regularly incorporate into your diet. According to some studies, you can benefit from eating as little as 1 ounce or approximately 7 shelled walnuts each day. In addition to being good for your heart, immune system, liver and brain, raw walnuts contain biotin which strengthens hair and promotes hair growth. Raw walnuts are a low sodium, cholesterol free food. They are a good snack option for diabetics, dieters and anyone striving to eat a heart healthy diet. You can enjoy raw walnut in salads or as a garnish for ice cream, yogurt and pudding. 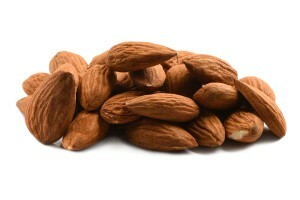 These amazing nuts can be chopped and incorporated into main course recipes and an extensive variety of dessert recipes. When you choose a bag of raw walnuts for a snack, you’ll be acquiring several unique and powerful antioxidants that you can’t get from most other foods. Walnuts can reduce the risk of breast cancer. They are also accredited with preventing and slowing down the progression of prostate cancer, as well as various other types of cancer. Raw walnuts can help reduce high cholesterol levels. Ingredients: English Walnuts. Product of California. One bag contains about 180 pieces. anufactured on shared equipment with peanuts, soybeans, tree nuts, milk, eggs, wheat and whey. Love them and your prices are great. These are good walnuts. They tasted fresh and there were many unbroken halves, an extra treat. My only reason for giving the 4 stars instead of 5 is the price. I bought in bulk (8 lbs) when they were on sale but, with shipping, they still cost quite a bit more per pound than the walnuts I can buy locally. There was no “Wow!” factor to make them worth the extra cost for me, though I am enjoying them. I like Nutstop and will continue buying some of their other products. Walnuts tasted really good and fresh. Will be re-ordering!! Very fresh and whole nuts, not tiny pieces!! Will definitely purchase these again. If you enjoy wildlife, try feeding these walnuts. They are a great food source for squirrels! So good. No added salt/sugar/stuff. Just raw and simple. Incredible. Just got my huge order today, and the first bag we opened was the walnuts. Such a fresh-tasting nut. Many times in the past I bought these at the grocery store or cracked a bag of them myself to get fresh ones. The nuts from Regal are better than any I have ever tasted. The very best. True! These nuts are just superb! The first time I bought them I was not a walnut fan, I spent most of my time hanging out with cashews and almonds (you know, the bad boys of the nut world) but lately I have settled down and I am really digging the sultry undertones and aesthetically pleasing texture of walnuts. My favorite thing to do is to grab a blackberry or raspberry and make a little walnut/berry sandwich, the flavors–while diametrically opposed on the taste-buds–compliment each other quite well, almost like Ben Stiller and Robert DeNiro in Meet the Parents, they really do become taste buds in every sense of the pun. What’s more is you can use walnuts for comic relief by placing one on an actual wall and exclaiming to anyone who might cringe at puns, “Hey look, not it really IS a wallnut!” It works every time. Lastly, these walnuts are reasonably priced and come packaged in a resealable bag so you can bring the puns with you on family gatherings and work-related team-building exercises. I hear Donald Trump is a big fan of these because he is downright…….WALL NUTS! Enjoy. Delicious and walnuts are not crushed pieces. Most of all they taste very fresh. These walnuts are so fresh-tasting. I have given up on buying grocery store nuts, as they always seem rancid. This taste like they were just cracked, and the halves are all perfect. I’d encouraged the company to also sell walnut pieces. Very good walnuts. Third time that I have ordered the walnuts. I like that they are in whole pieces. Do wonder though why not sell in one pound quantities? These are some of the BEST walnuts I have found! Just wish they also came in a 1 pound option so there was an equal amount in our mix. Walnuts are my husband’s favorite and he couldn’t say enough about these! Another one I’ll order more of especially for baking at the holidays! Why only a 14 oz bag? Why not a full pound? Anyway, second time ordering. Will continue to order again. The walnuts are always in big chunks, never small broken pieces. Kudos to the packaging area! Love the walnuts. Very Quick Delivery. These are excellent and will order again. Shipping is fast, received in 3 days. Great taste. A lot of whole pieces. All large pieces and delicious, and of course, very healthy. Great service. The walnuts are top quality, and the price is very reasonable. 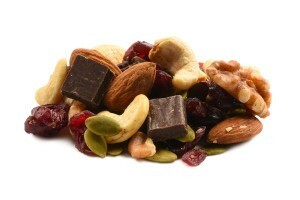 Yummy nuts, great quality and good price! The walnuts were a welcomed surprise… good quality and good value! Will be buying from Nutstop again! Upon opening the package, almost all of the walnuts were whole (often times, “whole” walnuts end up broken or in pieces). The walnuts were tasty and of good quality. These walnuts are really fresh. Will be ordering more. Each morning, I have Greek yogurt mixed with flax-seed oil (for help against gastro-intestinal cancer) and some walnuts, Brazil nuts and a few peanuts. I hope I’m being a Good boy, not abusing the bod, as spare parts are SO hard to come by ! Order these a lot for myself, my family and my birds as we all love them. One of our favorites – great price – great product! 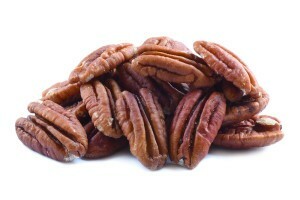 These pecans are amazing. I bought a small sample pack and they were delicious. I will definitely be ordering these again. IT’S DELICIOUS, PRICE IS OKAY ,DELIVERY ON TIME . Very satisfied. Nuts were large, fresh & tasty. Packaging was good. Shipping was a little expensive but price of walnuts made it worth it. These are only 14 oz per bag because of the shape, a pound won’t fit in the bag. Great paired with golden raisins. Buy these all the time and just love them – great with the gold raisins! The nuts are clean without shell bits, and fresh. I like the re-sealable bag- it is easy to get out the amount of nuts I need at any time, then easily re-seal the bag. I love snacking on Walnuts and I am always satisfied with your product! These walnuts are perfect as a snack and I already made some homemade chewy granola bars with them. They are delicious and fresh and came very quickly. Highly recommend these and all products from Nutstop! Good walnuts. great taste. will be reordering! Order #11279 These are great in my raisin walnut bread. Best price, easy to order, fast shipping & fresh. Will definitely order again. Reposting since I entered the wrong email. Love these walnuts. These are very fresh. Prompt shipping too. Price is slightly misleading. It says $6.49/lb for 1-4 bags but each bag is 14 oz, not 16oz (1 lb). So giving 4 star. Nevertheless great price for this high quality product. 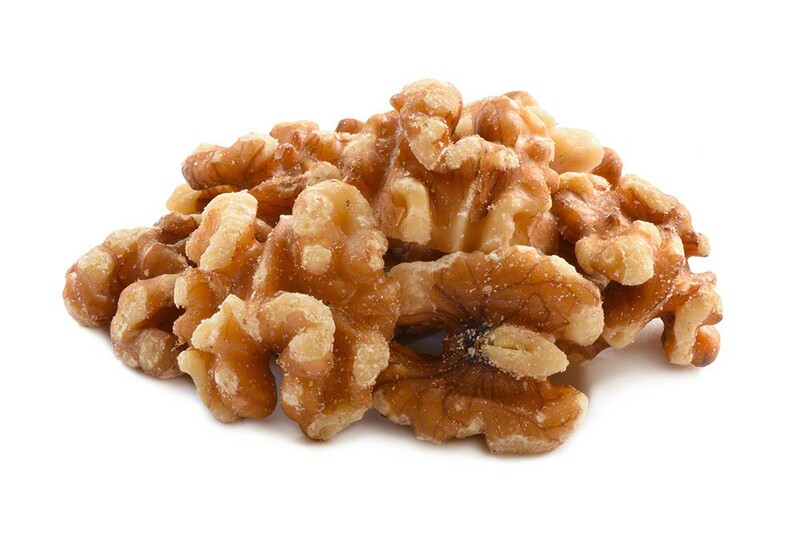 Usually the walnuts from supermarkets do not taste much, but Nutstop’s walnuts are full of rich walnutty flavor. They are the best. Perfect for breakfast! Very good quality! We consume a lot of them in winters . I couldn’t find a combination of quality and affordability anywhere else. Great job! Walnuts have become my favorite nut and these are great for snacking, cooking or baking. This was my first order and they arrived in three days. Great service ! I do a lot of baking, especially in the Winter months and your price on walnuts is the best I have found on line or in the grocery store. I will be sure to order from Nutstop again.